Very few things in life are better than donuts, but free donuts at Dunkin Donuts certainly make the cut. You know it’s a fact whether you let yourself indulge in doughnuts or not. 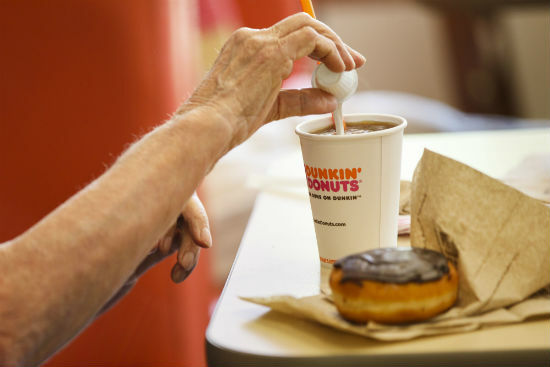 If you’re someone who usually resists the siren song of these sugar snacks, we have the perfect excuse for you to give in: free donuts at Dunkin Donuts — plus new flavors (with filling). 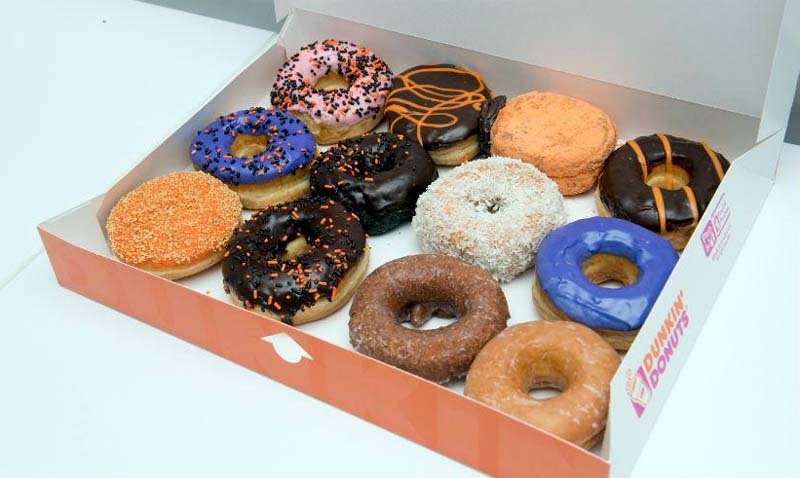 We’ll tell you when to mark your calendars for free donuts at Dunkin Donuts, but first, you’re going to want to hear about the new Dunkin Donuts flavors. Trust us, and prepare for the carb cravings. 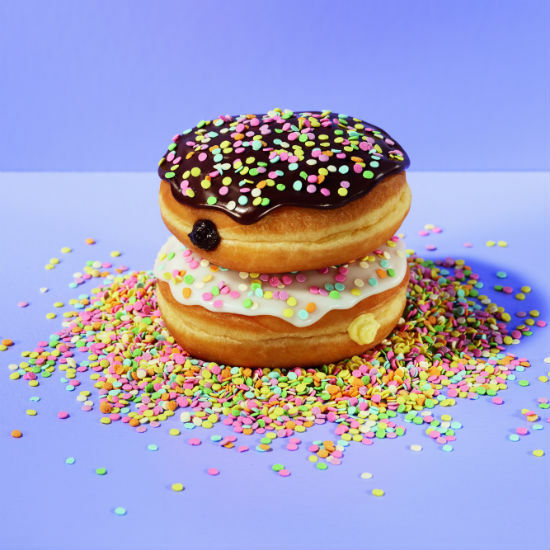 If you have a stubborn sweet tooth, you know who you are, you’re going to love the new Dunkin Donuts flavors that combine two classics: donuts and cake. But not just regular old cake — not that there’s anything wrong with a red velvet cake donuts. We’re talking about that all time guilty pleasure you enjoy every time you bake: cake batter. Dunkin is now stuffing donuts with two different types of cake batter. The new Dunkin Donuts flavors are the Chocolate Cake Batter Donut, which is filled with chocolate-flavored cake batter filling and frosted with chocolate icing and the Vanilla Cake Batter Donut, filled with vanilla-flavored cake batter filling and frosted with white icing. For the final touch, they’re both topped with colorful confetti sprinkles. If you hit the stores after Memorial Day, the new offerings should be available and out on display. Unfortunately the new flavors aren’t part of the free donuts at Dunkin Donuts offer, but some of your older favorites are. Here’s what you need to know. To celebrate National Donut Day — yes, of course that’s a thing — you can get free donuts at Dunkin Donuts on Friday, June 1. Just pop into your nearest Dunkin location that Friday, and you’ll get a free donut with the purchase of your drink of choice. Stop in first thing in the morning for your caffeine rush and to beat the crowd. Free donuts at Dunkin Donuts are only available while supplies last. We’re not just talking about a plain donut here, either. Make sure you get there early so you can take your pick from classic donut favorites including Boston Kreme, Glazed, Glazed Chocolate and Strawberry Frosted with Sprinkles, which are all up for grabs throughout the day as part of the National Donut Day offer.